Is your personal or business computer running slowly? Is your PC riddled with adons that infiltrate your screen with pop ups? Is your laptop screen cracked and damaged? North Raleigh Computer Repair provides expert computer repair services to the North Raleigh area. 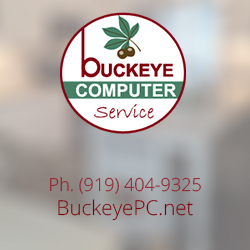 If your PC is running slow, has software issues, or was damaged in any way, give us a call. We will get your laptop up and running again in no time. We work with professionalism and efficiency to repair your computer as quickly as possible. We are certified to handle all business and personal computer repair services. If your PC has a problem, we know just what to do to fix it. Give us a call today! Trying to fix your own computer can be a very dangerous proposition unless you’re very sure of what you’re doing. It only takes one slip of the hand or wrong placement to ruin your entire computer. When it comes to things this sensitive you need to leave it to the pros.